I’ll go ahead and apologize for the punny title, but not for how much I love food (and America)! With Memorial Day coming up this weekend I thought I’d try and put together some fun, healthy-like recipes that you can share with your friends at your BBQs! Naturally, I took to Twitter to ask my friends what they liked to make/eat and got a few good responses. After that I basically just texted my friends. I’m the kind of girl who brings the veggie tray, chips and salsa, or beer. I like to cook, but…okay, no I don’t. Below are some recipes that you can try this weekend, if you just click the name! Some are healthy and some are just tasty. This one’s great because you can eat is alone or with chips to dip! Someone make me these, stat. This is pretty much my go-to for parties. I’m actually pretty good at making it. Super healthy options also include fruit or vegetables. You can get creative and go all ‘MURICA if you want, too. Hey, I’m Ashley and I love food. This should not come as a surprise to anyone who knows me in real life, follows me on any type of social media, or if you have read any of my other posts. Crunchy things are my weakness. Ice cream is my soulmate. Pizza is my best friend. How did the internet get this footage of me? It’s so easy to sit on the couch and grab a bag of chips or popcorn and just munch away, not worried about portion size or calories. I’m guilty of it, even as I’ve been trying to be on this “healthy lifestyle”. I can often be found sneaky chips and crackers and other delicious things late at night knowing the only person I’m actually hiding from is myself. It’s ridiculous! Lately I’ve been trying SO HARD to do better with my eating habits. It’s definitely working, but not without a little change in my thinking. This definitely includes snacks. Instead of grabbing chips or something salty, I’ve been binging on fruits and veggies. Of course, sometimes you need a little bit more to go with those fruits and veggies…because that stuff gets boring real fast. I’m obsessed with this little cuties. The amount of them I eat might be embarrassing if they weren’t so delicious. I’ve been toying around with Greek yogurt (yuck) and have found that it’s tolerable when I put a lot of different stuff in it. It might sound crazy, and you’re probably thinking why don’t I just eat stuff I like? Well, I’m trying very hard to stick to my plan, so that means I need to get creative. 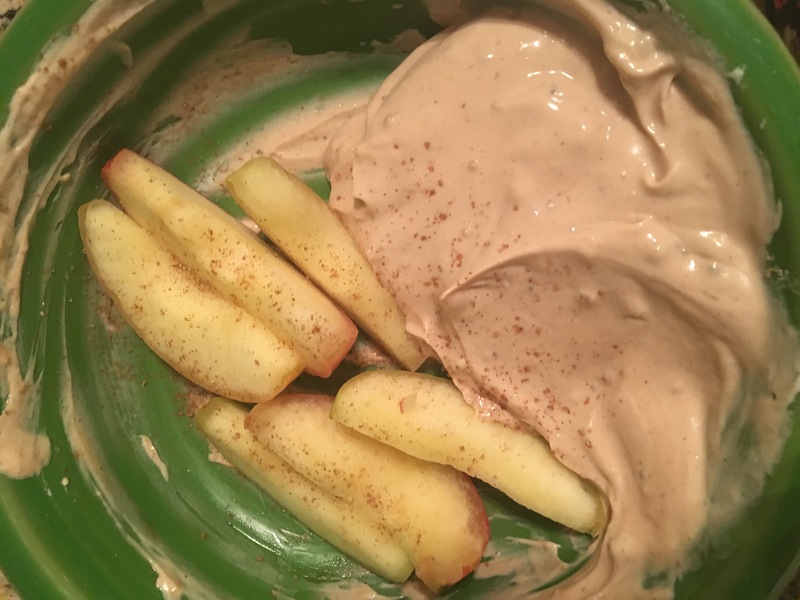 …make for a delicious fruit dip! Greek yogurt is a great breakfast food time. Of course, I like to mix in bananas, cocoa powder, and sometimes even a little natural sweetener because it isn’t something I can eat by itself. For veggies, I use the yogurt and a packet of ranch season to make a super light dip. So many things to do with it! You might be able to guess by now that I also love dips of all kinds. Hummus and carrot sticks, crackers, or cucumbers is always filling… BUT, WAIT. Did y’all know that chocolate hummus is a thing? Because it is and it ain’t half bad. These are just a few things that I’m obsessed with right now. Also: mushy bananas because those are the best. Anyway, if you have any tips or delicious treats you love, let me know! I’m always on the lookout for new things! I love food. Like, a lot. I love food so much, this is the second food-related post you’re getting from me this week! At Cotopaxi, we’re all about encouraging people to get out, stay active, and do something good everyday. Giving is a huge portion of who we are, and as a Benefits Corporation, our hiking backpacks tend to be the most popular and create a big impact. We donate a percentage of every sale to various organizations that support global health initiatives, which is why we’re excited for all ways that we can promote better livelihood! That’s totally rad, if you ask me! Not only providing equipment and promoting healthy living, but giving a portion of those proceeds to help fund initiatives dedicated to global health? Yeah, that’s a cause I can get behind. When Cotopaxi contacted us, they also provided this cool infographic, highlighting ways to live a healthy lifestyle. I’m going to break it down over the next few weeks and share with you my favorite ways to do each of these things. This week? I start with Energy. I talk a lot about healthy eating and meal planning and making sure I’m eating the right food to fuel my workouts. One of my favorite tips they offer is “focus on adding nutritious foods rather than eliminating food groups and specific foods.” Can I get an amen?! That’s probably one of the hardest things for people to understand, especially in a society that has been completely inundated with fad diets and nutrition styles. I mean, if you’re going to eliminate something from your diet, getting rid of soda and highly processed foods isn’t the worst plan, but entirely cutting out carbs? NONSENSE. Carbs are fuel, guys! Your body needs them if you want to feel good and perform well. The same can be said for proteins and fats. And making sure you get lots of veggies in during the day? Yeah, that’s another awesome tip. Veggies are so delicious – and I’m always working on making sure I’m getting enough. 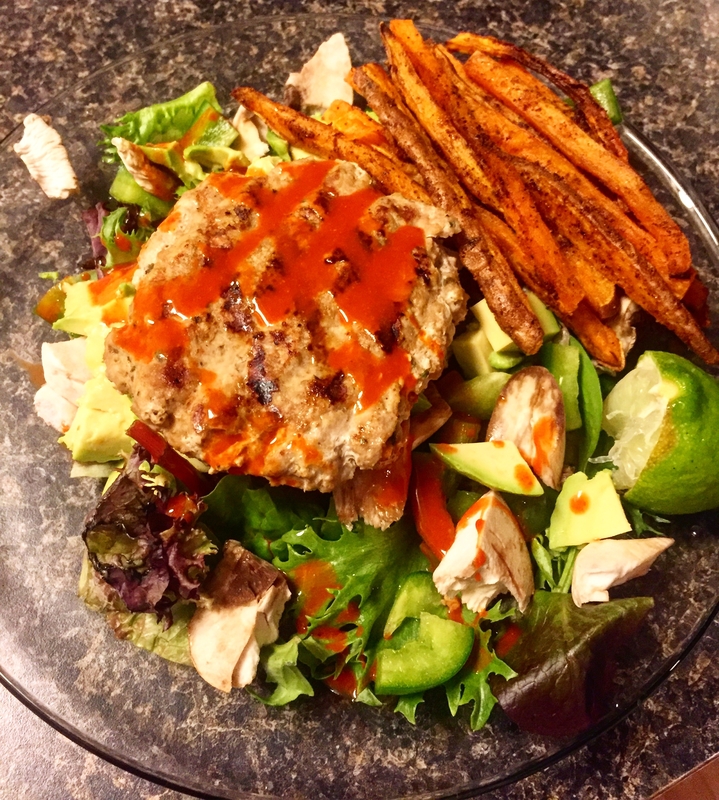 Homemade Turkey Burger on a bed of mixed greens and avocado. Mmmm. I typically work out 5-6 days a week, and my workouts are usually made up of a healthy mix of cardio and strength – and I usually go to the gym after work, before dinner. Consequently, if I don’t have a snack beforehand, I’m usually starving and have a crummy workout. I like to have something small before I head out just to make sure I’ve got the energy to work hard and feel good. Some of my favorite things to snack on? There’s a variety! Lately, it’s been a Quest protein bar, an Rx Bar or a handful of trail mix. I try to find something that doesn’t have a ton of sugar and doesn’t make me feel too full – having an upset stomach during a heavy training day is no bueno friends. Sled pushes will turn into pukies otherwise. 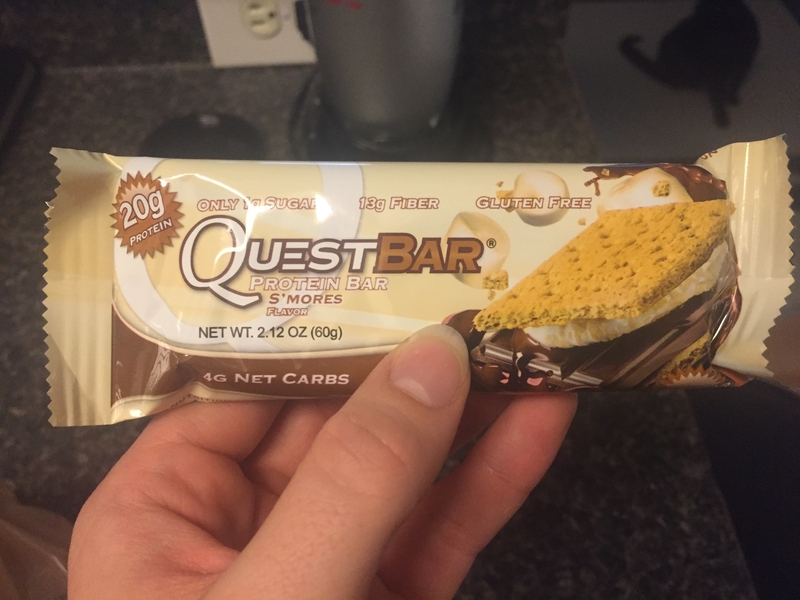 Quest Bars are heavy on protein and light on sugar! 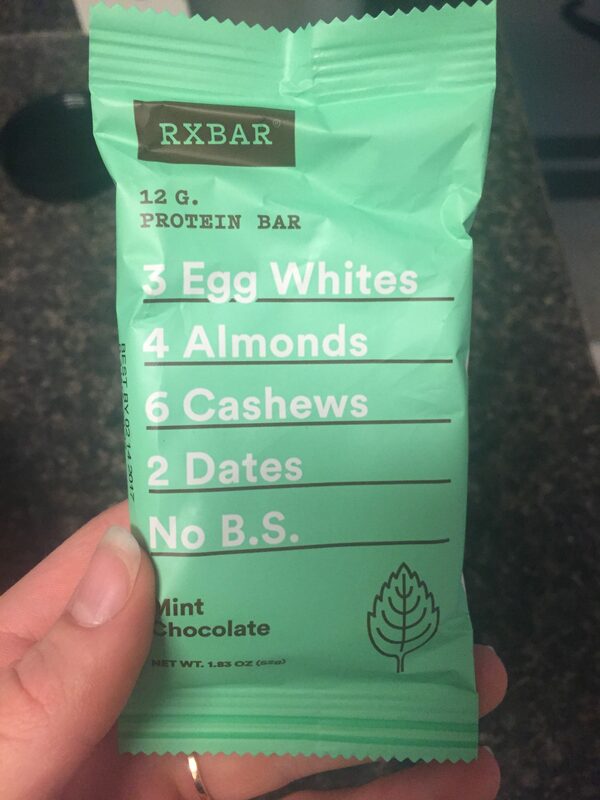 Rx bars are great because of their simple ingredient list! These snacks are easy to keep on hand – I have some stashed in the pantry and at least one protein bar in my car all the time, just to make sure I’ve got fuel when I need it. My philosophy? Put good in and you’ll get good out. Fuel your body with good, healthy, well-balanced food and your body will reward you with solid performances in the gym, on a run, on a hike and in life! I don’t know about you, but I love to bake. And even more, I love to eat. While I’m baking. Don’t get me wrong, I love cookies and cakes and brownies – but even more, I love cookie dough and cake or brownie batter. Something about the pre-baked goodness just makes me feel some kind of way. Now, I know there’s always the risk of the “raw egg” situation – but I’m a risk taker. Honestly, until the cookie dough betrays me, I’m going to keep eating it. I like to live dangerously. However, worse than the raw eggs is all the sugar. My favorite cookie dough makes my favorite cookies: oatmeal chocolate chip. My great aunt’s recipe calls for both brown and white sugar. They’re delicious, but generally, not that good for you. And I gave up junk food for Lent. So while I may want to eat cookie dough, I can’t. I’ve also set some higher fitness goals for myself with regards to the weight room and that means upping my protein intake – I typically get my protein from a protein bar in the morning, tuna or grilled chicken at lunch, a protein shake after the gym and either more chicken or ground turkey as part of dinner. This all gets me pretty close to meeting my protein goals, but some days I just need a little more umph. Now, her recipe is pretty well on-point. I’ve made small tweaks to fit my needs. Throw all of these things (except the chocolate chips) into a food processor. Let it spin for a minute or two, empty into a bowl (or a tupperware if you’re me and you like to snack on it over a couple of days), mix in your chocolate chips if you’re using them and enjoy! You can serve it with graham crackers or don’t even bother and just use a spoon. #guilty. 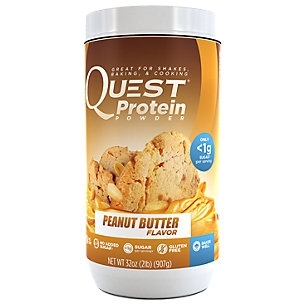 Quest Peanut Butter Protein. This shizzzzz is so delicious. Easily the best-tasting protein with the best composition. Less than 1 gram of sugar, 23 grams of protein and only 110 calories per serving. It tastes mixed just with water or almond milk as a post-workout shake and it is incredible in any other kitchen concoctions. That’s one of my favorite things about Quest products – they bake so well! 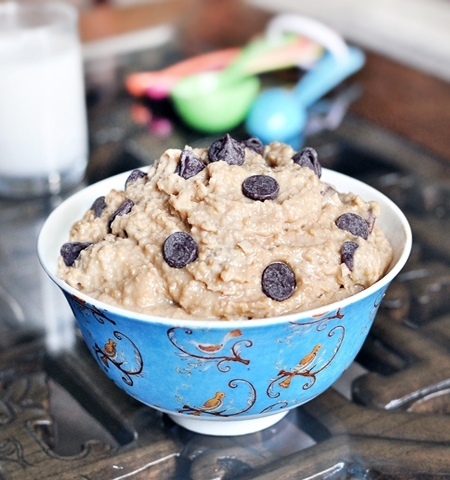 Granted, I’m not actually backing this cookie dough, but you totally could! Needless to say, I’m obsessed. I think the last time I went to Wegman’s, I picked up four cans of chickpeas. Specifically so that I have them on hand to make this whenever I want. The best part? It fulfills my cravings for something sweet without blowing up my entire diet, which is always a win. Maintaining a healthy relationship with food is a thing I am alllll about. Food is delicious and I enjoy eating it and I don’t like feeling guilty when I do. This absolutely keeps that from happening. Happy tummy, happy Kyle. What’s the best meal of the day? Snack. Boom. Done. The Scoot a Doot chicks LOVE us some snacks. We try to keep the snackage on the healthy side, and we’re more than willing to share. Okay, maybe not more than willing, but at least willing. At the very least, we share snack ideas with each other… and now we’re going to share them with you! And rest assured, this is nothing but our unbridled opinions. The links below are just for your information. No one sent us free snacks. But, you know, we certainly wouldn’t object to getting free snacks! Would you? (Hint, hint). Oh, yay! We are back to my favorite subject: FOOD! I feel like all the time is snack time at our house. Snacks for everyone! 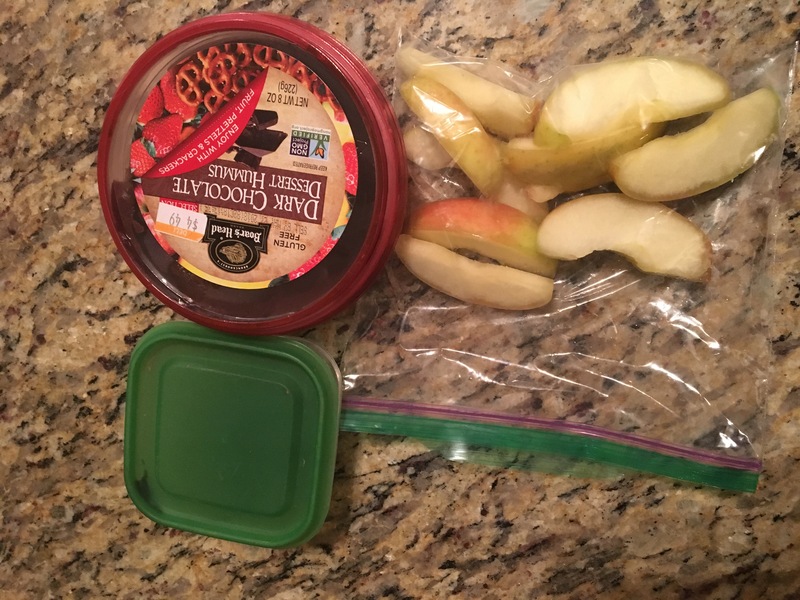 My kids are grazers, they like to eat smaller meals throughout the day rather than full meals. Breakfast can last all morning long and as far as I’m concerned, that’s not a bad thing! Some favorite afternoon snacks are mixed nuts, trail mix, that sort of thing. Whole wheat sandwich thins with either Justin’s or MaraNatha peanut or almond butters, sliced bananas and cinnamon. 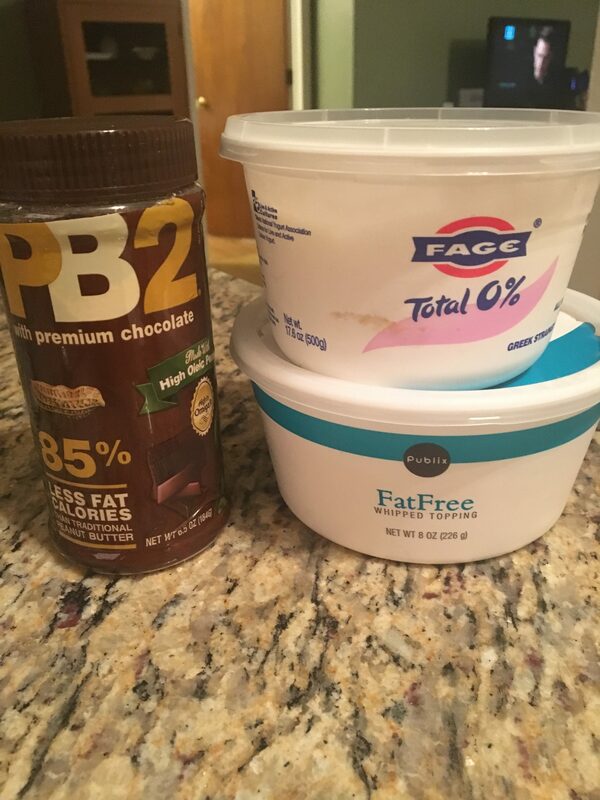 Fage or Chobani Greek yogurts are delicious and easy. Me too, Mer. Me too. I’m not always the healthiest of snackers, so I need easy grab-and-go snacks in order to make the right choices. You can always find some sea salted almonds or cashews in my snack drawer at work, nestled next to a bag of sweet potato Pop Chips. Whole wheat bagels with chunky organic peanut butter and a banana is yummy and filling. But my absolute favorite healthy snack is Greek yogurt with Nature’s Path pumpkin flax granola. People, this stuff is amazing. I mean really, really delicious. When in doubt, I always fall back on it for breakfast or a snack! Greek Yogurt and delicious looking granola a la Jess! My favorite snack currently is juiced veggies and fruits but since you can’t put that in a basket and ship across the country, a very close second is belVita Breakfast Biscuits. They’re like graham crackers but come in a couple different varieties, like blueberry and apple cinnamon. 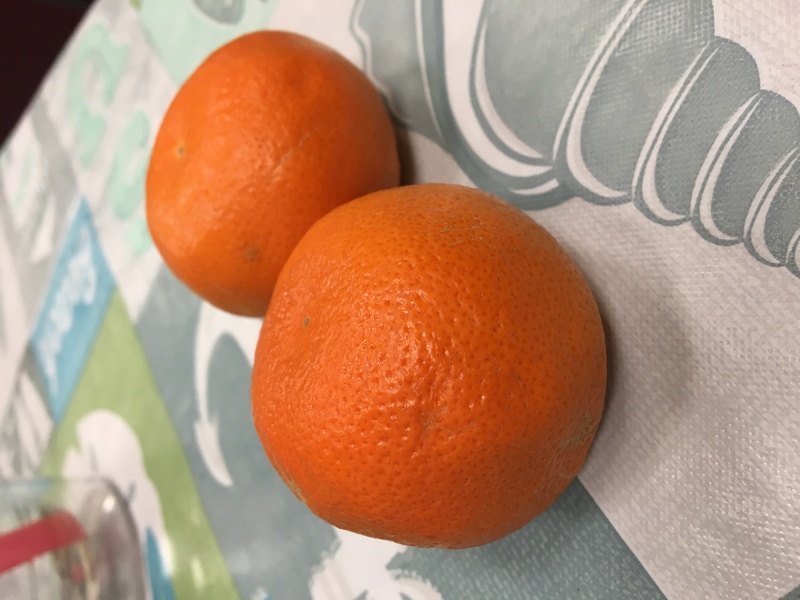 They’re not very low in calories but they’re high in fiber, grains, and vitamins. They’re a cookie substitute that satisfies my sweet cravings when I don’t have time to juice or make a smoothie. The package comes with 4 biscuits but it usually only takes 2 to fill me up. And my kids love them too! I’m a snacker. And I usually crave fritos. Yes, I know they are bad for me. Yes, I know they have no redeeming qualities. But I love them nonetheless. Occasionally, I throw caution to the wind and eat them anyway, but I typically snack on fresh fruit (apples, bananas and grapes are my faves) or yogurt (Noosa, Chobani bites or Oikos Greek yogurt.) I also love pretzel thins, raisins, pita chips with hummus, sunflower seeds and nuts – any type of nut, I don’t discriminate. Vic is never too busy for Noosa! And to try to stave the cravings, I also drink LOTS of water. I’m hoping it will fill me up so I’m not hungry – read, snacking – but that rarely works as well as I’d hoped. keeping the pantry and fridge stocked with my favorite healthy stuff. Flavored almonds and I are totally having a moment right now. I love the wasabi spiced almonds and the vanilla roasted are great if I want something sweet. Brooke likes sugar AND spice! Kashi trail mix bars are my “on the go” snack; I always have one in my tote. And some days, my favorite snack is a latte from Starbucks. That totally counts, right? Of course, I eat lots of fruits and veggies too. If I were a dinosaur, I’d be a Snackosauras. Seriously. If I could realistically make my entire diet of snacks, I’d be a happy girl. Don’t get me wrong, I love mealtime, but I LOVE snacktime. And it happens so often, which is even better! In my unhealthier days, snacks were a box of Cheez-its. Or a pint of Ben and Jerry’s. Yeah, the whole thing. In both cases. These days, I’m working on making snack time part of my healthy diet and making sure my snacks are nutritious, tasty and satisfying. Like a lot of the chicks, I’m a big fan of Justin’s Almond Butter (the vanilla flavored packet is a go to high calorie snack when I need protein) and Greek yogurt (Noosa and Chobani top my list, but Oikos does in a pinch). Lara Bars, Kind Bars, nuts or seed based snacks (Somersaults… delicious), fruit and veggies, or cheese and whole grain crackers are all in heavy rotation. But when I’m craving something salty by the handful, it’s all about Boom Chicka Pop. 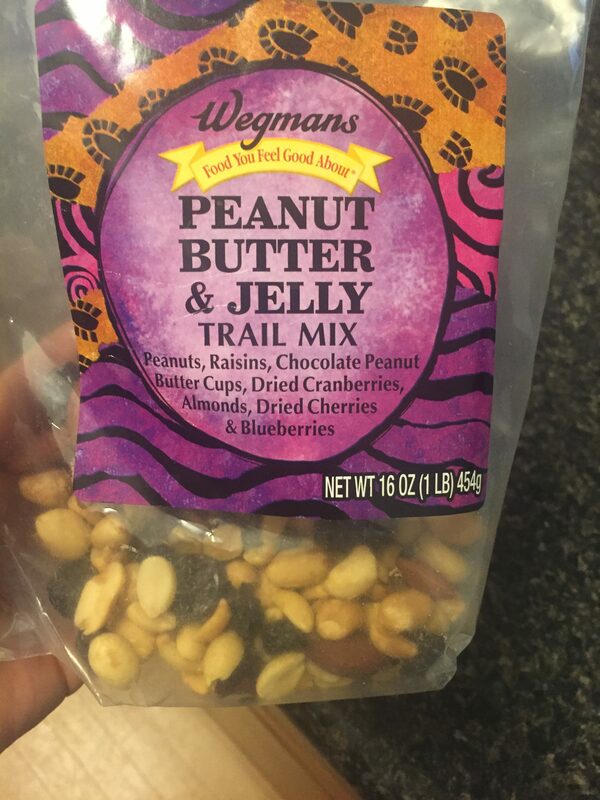 This four ingredient wonder is addictive, so be careful. But at 35 calories a cup, you don’t have to be too careful. Three cups of that in a baggie is the best 100 calorie pack known to man. It’s salty and fresh and just so good. Chicka chicka yeah yeah! (Name that film). So, who’s hungry? Me? Yes. You? Probably. And we don’t want to leave our readers hungry! So…..
We’ve decided to share our snacks with you, for real. There’s a link below for a little giveaway. We’ll select two winners and you will receive a box of yummy snacks from either Chick Bec or Chick Brooke. We probably won’t mail you any Greek yogurt, because ewww, but we’ll make up boxes of our faves and send them out to you. Good? Good! These are the Chicks’ favorite snacks. What are yours? 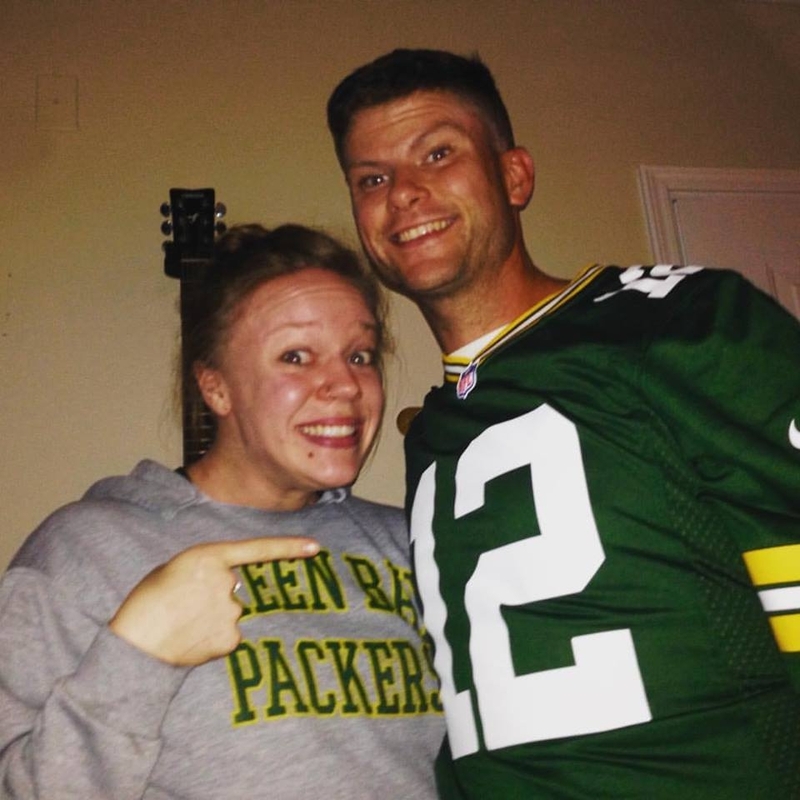 Tell us all about them!